Today, I present to you a strong, gorgeous woman, my sister in Christ! We met when she and her family moved here to Kansas City from Chi-town (Chicago). They're now back home again and after a 40 lb. weight loss she's pursuing her dreams and looking dang good doing so! She's a wonderful wife and mother, I admire her "take no mess" personality and she fully exemplifies hard work and determination! 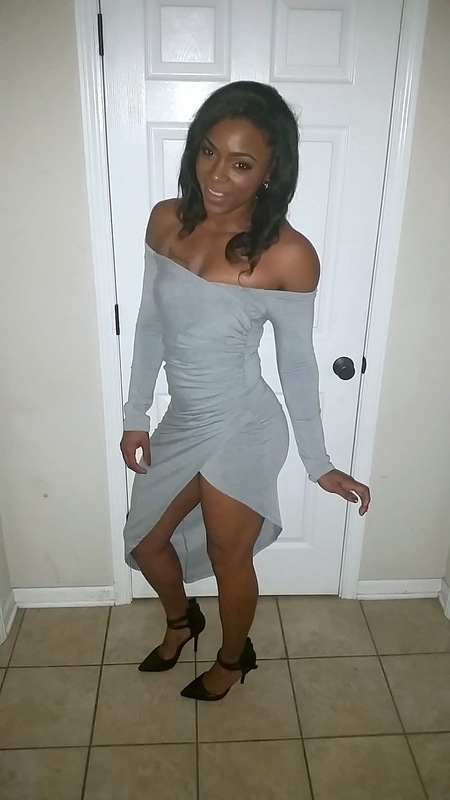 Every-lady, meet Mrs. "Virtuous and Fit", Tamika! Hey Mika! Go ahead and let the readers know a little bit about you and the family. I'm Tamika Powe, wife of 11yrs, mother to two beautiful girls ages 14 and 10. I'm a NASM Certified Personal Trainer at LA Fitness (Chicago) and at The Healthy Hut Studios where I offer personal one on one training. I also specialize in client meal prep. My hobbies are shopping, spending time with family, and bodybuilding. 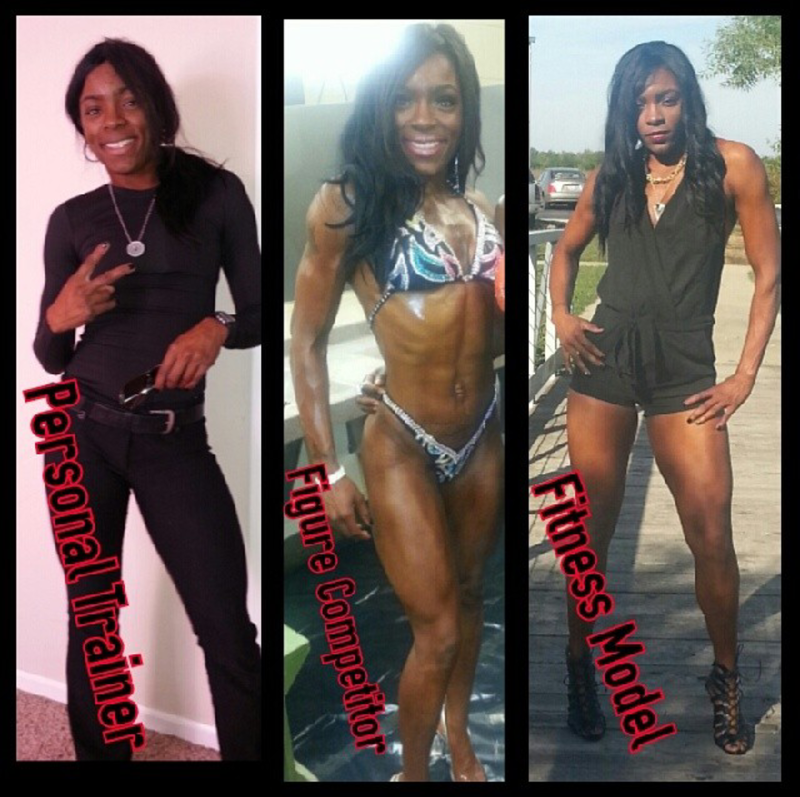 I'm a Figure Competitor, my first competition was in October of 2013 where I took 1st place out of 11 beautiful ladies. First place at your first competition?! You go sis! How did you get to this point in your life? On Sept 12th 2012 (a week after my 31st birthday) I decided to change my lifestyle and I joined LA Fitness. I was not on the verge of any diseases but I couldn't run up three flights of stairs without stopping for breath, I couldn't wear clothes that I wore a year ago, and I couldn't do things that I was able to do years before. I was in the gym every morning before work and I changed my eating habits. I researched and read up on everything dealing with a healthy lifestyle, I printed recipes. I was determined to look the way I wanted. After losing 40 lbs. of fat I accomplished that goal, so on to the next! My coworker saw my progress and my determination in our onsite gym and told me about his cousin who was a figure Bodybuilder. I watched her YouTube videos and fell in love. I went home and showed the videos to my husband and from that day on I set a new goal and that was to get a muscle body and compete. 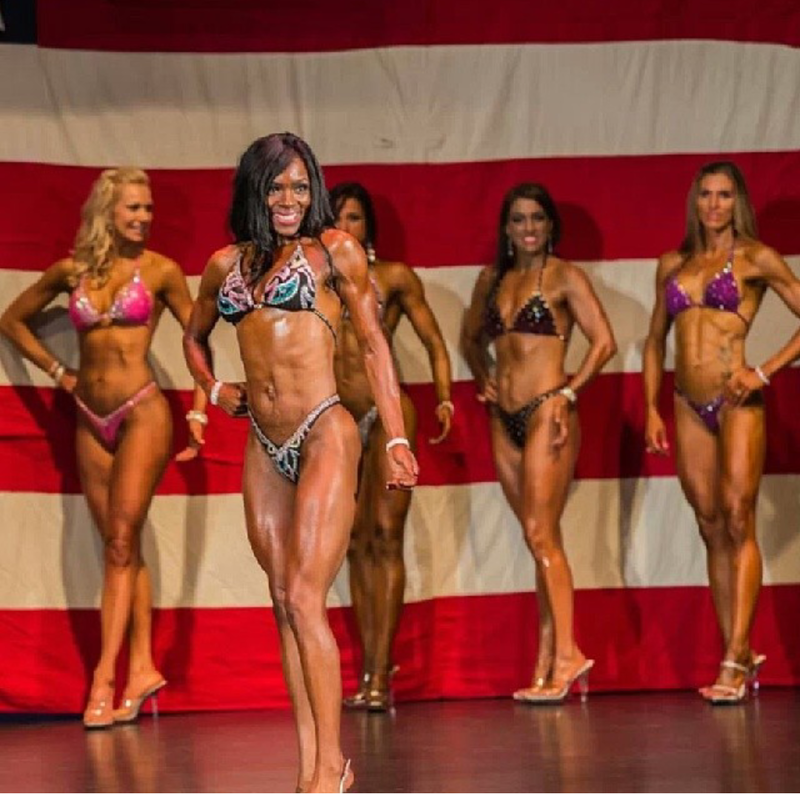 I sought out a bodybuilding team on Facebook and came across Epic Figures ran by International Federation of Bodybuilding and Fitness (IFBB) professional, Chaya Boone. 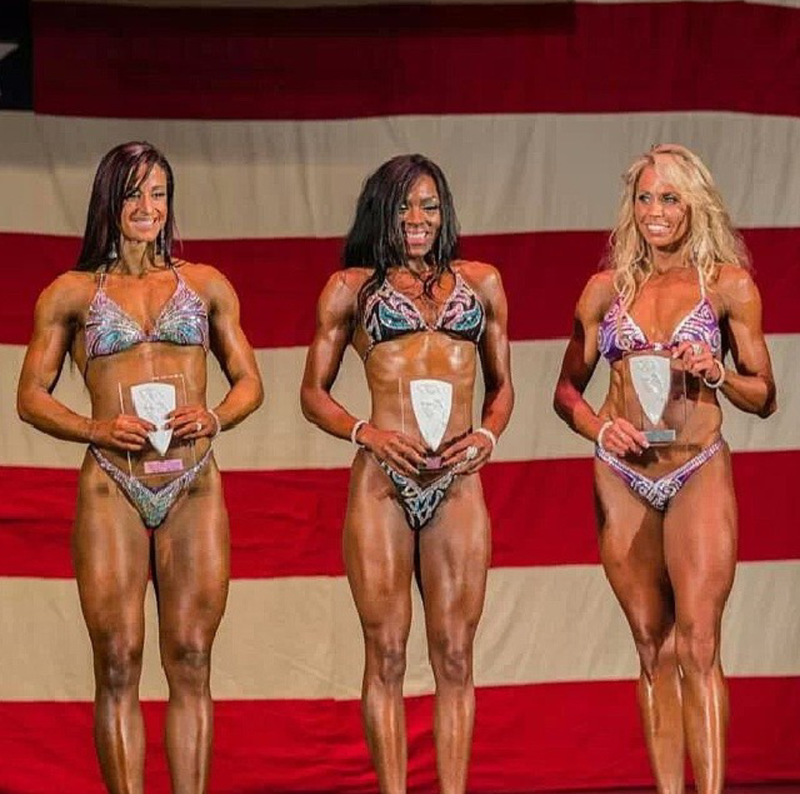 As I trained and spoke with her I immediately fell in love with the bodybuilding sport, so on March 20, 2013 I joined the team and trained for my first figure competition which was on October 13, 2013. I stepped on stage and ended up winning 1st place out of 11 beautiful ladies. My progress and love inspires my to keep going and succeeding in this sport. You wasted no time to pursue your goals, went straight for the gold. That's so awesome! What do you believe is your purpose at this point in your life? I believe my purpose is to help others in reaching their goals. That's why I constantly post pictures on my social media pages. I know someone is inspired. I train clients and see their hard work and determination and progress and I know I'm fulfilling that purpose. You sure are because I see your photos and I'm instantly inspired to do some squats! What are your short-term and long-term goals? My short-term goals are to take my love of fitness and bodybuilding to YouTube channels, give exercise advice; anything I can give. Also, I want to receive my pro card in the bodybuilding sport. A long-term goal is to continue in this sport and to open up my own gym. Yes! Get on YouTube! I'll be one of your first subscribers :-) Where are you on social media so interested readers can learn more about what you do? If you would like to be featured or know someone who you would like to see featured, feel free to email me. I prefer consistently POSITIVE women who display a positive attitude and demeanor at all times. College degrees and education does not matter. We all have a personal story of victory that can encourage someone else and that's really what this is all about. I do have standards though.